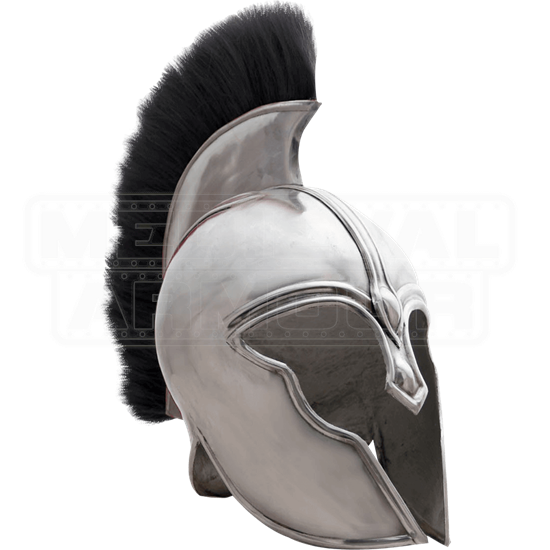 History buffs can delight in the excellent styling of this fantastic historical helmet. The Trojan Helmet features the extended guards along the sides of the face and nose guard typical of various Greek and Roman helmets of the time. The design leaves only the eyes and mouth free, offering greater protection than other helm styles. This steel helmet displays an eye-catching black crest along the back of the head, providing flair to the design. 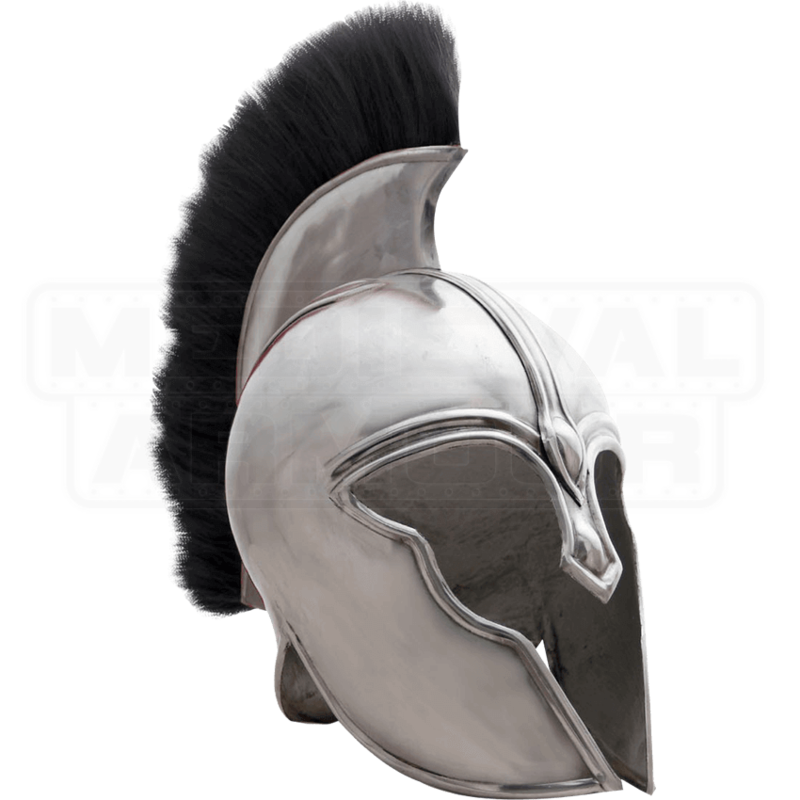 Whether you want to show off this helmet in your home with the help of a helmet stand or wear it to create a realistic costume, the Trojan Helmet makes a fine piece to add to your collection!